Deborah focuses her practice on meeting the economic development, energy, utilities and infrastructure needs of businesses and government. She advises clients on the legal, regulatory and public policy landscape and works to achieve positive results. Deborah represents clients before government agencies and permitting officials as well as in appeals to state and federal courts. Deborah brings a wealth of insight into both the public and private sectors from her prior experience as general counsel to the Research Triangle's regional transit authority, from a decade spent in private practice focusing on infrastructure, energy and utilities and from her leadership of a statewide nonprofit organization and her longstanding service to the state of North Carolina as an elected representative. She also taught for more than a decade as a Senior Lecturing Fellow at Duke University School of Law and worked as an ethics consultant for the Kenan Institute for Ethics at Duke. 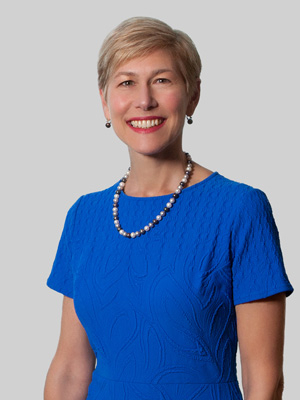 Deborah was previously of counsel at Smith Moore Leatherwood LLP, which merged with Fox Rothschild in 2018. Deborah's commitment to the community runs deep. She assists the Green Chair Project, regularly speaks to groups across North Carolina, and is an advisory member for the U.S. Global Leadership Coalition.